Throughout the country, most of our lakes offer lots of shallow, murky water that is loaded with trees, docks, and grass. Article after article is written on how to fish these shallow, fishy looking structures and cover. For the fisherman, they are more comfortable fishing these waters because they can see what they are fishing. Just the excitement of pitching a jig into a thick mass of tangled brush waiting for the tick of a giant bass biting the bait is enough to satisfy most anglers. 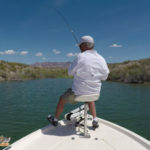 However, for many bass anglers, when they see deep, rocky lakes with ultra clear water and very little structure, they lose their confidence and a great deal of anxiety occurs. Just the thought of fishing deep water along structure they can’t see with lightweight tackle is overwhelming in the minds of most fishermen. For me, it is an opportunity to cash in on some incredible bass fishing while enjoying the beauty of these lakes. 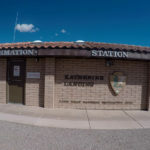 First, you need to obtain a map of the lake (a good one is by A.I.D. Associates 1-800-243-6277). As with most deep, clear water lakes your fishing will take place offshore. Along with the map, you need to have a graph or flasher on your boat and, most importantly, know how to use it! The bass on Canyon Lake tend to suspend next to ledges, points, and bluff walls around the baitfish. Locating the baitfish and structure will require both of these tools. Second, you need to have the appropriate tackle. This should include: zara spook and pop’r style topwater baits, spinnerbaits in white and peal skirt patterns with willow leaf blades, shad colored crankbaits that will run 10-15 feet deep, and Carolina rig and drop shot rig components with a variety of finesse worms and lizards in watermelon, watermelon/red fleck, and green pumpkin colors. 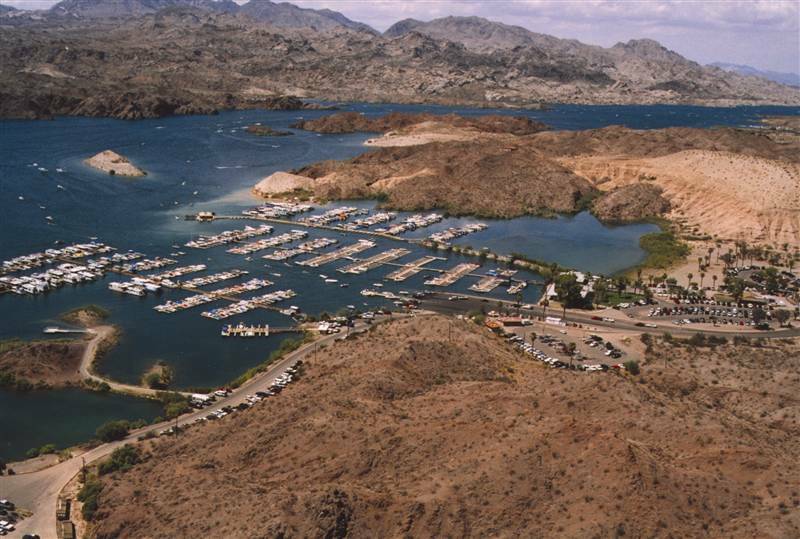 Plastic worms as well as jig and pork combinations in purple, black, and blue tones have their place for success on Canyon Lake, especially upriver around the wood cover. Plan on using 8 – 10 lb. test line most of the time. You will need heavier line if you are fishing the timber found upriver. 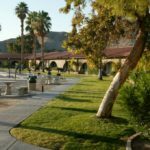 If you aren’t that good with using one of these techniques or baits, Canyon Lake is a great place to practice and gain confidence. 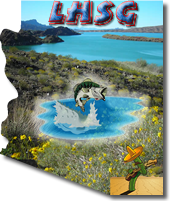 Thirdly, match the conditions of the lake (you can find them at: http://www.tpwd.state.tx.us/) with the current weather patterns to pre-determine the seasonal position of the bass which will allow you to locate areas on your map that should be holding bass. Fourth, and this is where the rubber meets the road. When you get to the lake, head for one of the areas you have picked out. 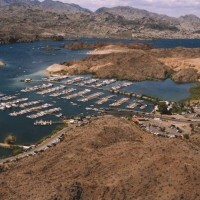 The easiest structure to break down and find fish on is the numerous points found on Canyon Lake. Idle over the structure and look for baitfish that are “balled” up on the structure using your graph or flasher. Pinpoint their depth to determine the depth at which you need to be fishing. Remember, on Canyon Lake, the bass relate heavily to the baitfish because there isn’t a whole lot of “deep” cover. Some areas do have a lot of standing timber and brush (especially upriver), but it is spread out around the lake. 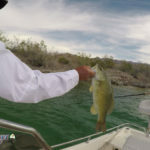 Most of the year, while the water temps are above 60 degrees, you can find a tremendous topwater bite on Canyon Lake early and late in the day and longer on overcast days. I would start with this approach first. Then I would begin throwing a bait that hits the bottom on the structure you are fishing or runs through the cover found in that location. The bass that are tight to the structure or cover will be the easiest to catch. If this is not producing bites, move vertically over the top of the baitfish and fish a drop shot rig vertically in and around these balls of bait. In this case, you are fishing for the suspended bass. By using your graph or flasher and setting the sensitivity level appropriately, you will be able to see your lure on the screen and know you are at the correct depth. Vary the depth of your lure above and below the bait until you get a bite. Once you do get a bite, make note of the depth and you can copy this everywhere on the lake with the same structure layout. Canyon Lake, it’s not really that tough! Spend a little time their and you will agree. 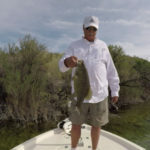 For more information, access my personal Canyon Lake Journals at www.bassfishingaskdave.com or call: 210-833-9417 for a guide trip.